Chastyn Webster graduated from Clemson in May with a bachelor’s degree in psychology. Along the way, she volunteered with Alternative Spring Break, was a research team member with Aspire to Be Well and Tigers Together to Stop Suicide, and a member of Sigma Kappa. She plans to pursue a master’s degree in social work. Long before her arrival as a freshman, Webster had experienced a different side of Clemson — one that has served more than 5,000 marginalized youth ranging from students with autism to teenage mothers in foster care to low-level juvenile offenders. She had been part of a program at Clemson’s Youth Learning Institute. YLI creates and delivers programs for youth and families throughout the state. “Every kid is at risk, including mine, and every kid deserves a chance,” said Cody Greene, director of at-risk programs at YLI. Greene has spent the past 18 years at YLI, 14 of them as director of the Youth Development Center at Camp Long in Aiken, where Webster was placed by court order at the age of 15. Through team building, experiential learning, life and leadership skills development, and a heavy dose of fun, students are able to envision and achieve different paths for their lives. She struggled for the next year, she said. 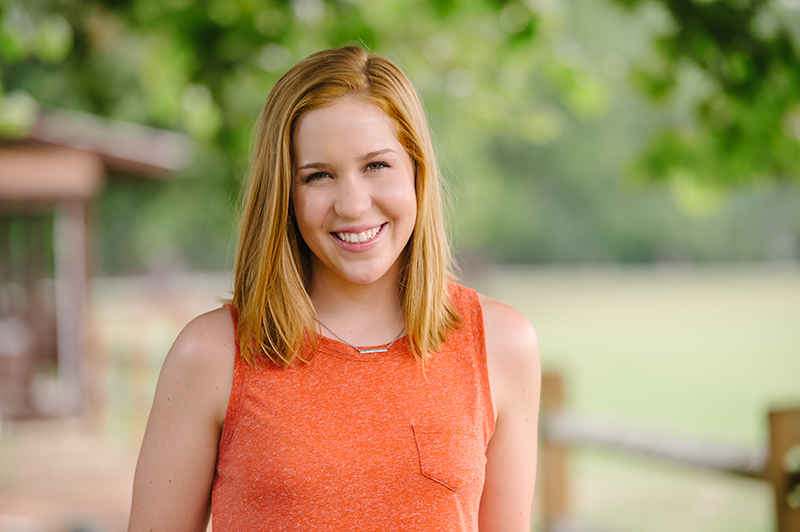 “It took awhile not to want to return to all those friends I had before, but I decided I wanted more for myself.” Because of her experience at YDC, she set her sights on attending Clemson and studying psychology, with the encouragement of her father. Learn more about the Youth Learning Institute.